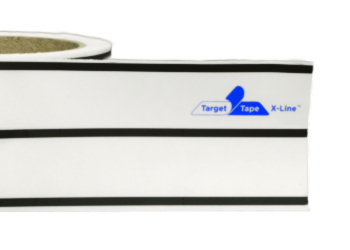 Welcome to Target Tape Inc. | Target Tape Inc.
X-Line is a disposable, radiopaque adhesive strip that highlights the skin contour on a CT cross-section for use in radiotherapy to help identify the skin boundary. The three radiopaque lines show up as bright dots that can be easily connected. 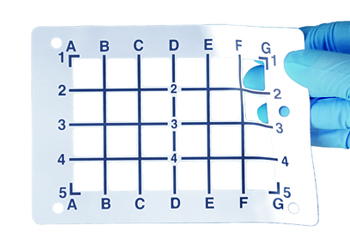 X-Grid is a disposable, radiopaque adhesive grid that can be utilized for surgical localization both pre and intraoperatively. The grid appears on X-ray images, and the open windows allow the marking of the skin for correlation. X-Grid can come in various sizes. Welcome to Target Tape Inc.